An expert at solving complex supply chain problems and dealing with challenging customers, Claire Jones is a Hampshire-based business consultant who specialises in working with food producers and providers. Here, she shares five key steps for running a successful food and drink business. In the early days, it is easy to lose sight of the pennies (or even fractions of pennies), but as your business grows and volume increases, any small cost implications or improvements can all add up. When starting or running your own business, it is easy to believe it’s the best thing ever. It may well be, but remember others may have a different view. Something you think is important may not actually be important to the end consumer - and it might potentially be something they are not prepared to pay extra for. Understanding what ‘good’ looks like isn’t just about the amount of money you’ve made that week. Knowing patterns to sales and comparing year-on-year will help you do this - what you thought was a bad week could turn out to be a good one by comparison. Try to forecast so you have something to measure success by. If you’re not hitting your planned numbers, work out the reasons why and what you could do differently. Remember, it’s not just about value sales through the till; volume sales, profit (both percentage and actual £) and stock holding are just as valuable to a business owner. Understand what’s coming up and how it could impact production - can you keep up with demand? Plan for slow periods, making sure you don’t have excess stock that will generate waste. Of course, this obviously depends on the shelf life of your product. Many industries are very fast moving and none more so than the food industry. It’s easy to get left behind. Make sure you know what is next in your development plan and always ask yourself ‘Why am I doing this?’ and ‘Who am I doing this for?’ If you can answer these with clear, rational thinking, the chances are it’s a good idea. 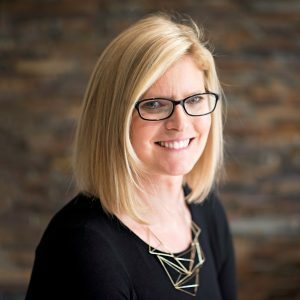 With 11 years commercial experience within a world leading convenience food manufacturer, working with major retailers, Claire Jones has worked closely with operations, supply chain, new product development, technical and marketing teams. Her business, Claire Jones Consultancy, is based in Southampton, Hampshire. You can contact her on claire@cj-consultancy.com or 07411 755622.